The 106.5 Moose FM Day Trip Guide! Plan a day to visit these towns and businesses in the Valley! Afelskie Shoes is the number one shoe store in the Upper Ottawa Valley, with stores in Barry’s Bay and Killaloe. Whether you prefer to kick back and relax at home, or head outdoors and get active, Afelskies has the footwear and clothing your family needs. Check our Facebook page for specials and sales throughout the summer. Come and browse our vast selection in Barry’s Bay and Killaloe. 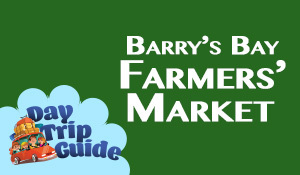 The Barry’s Bay Farmer’s Market offers fresh, produce, baking, meats, maple syrup and more. Local artisans display their unique wears and crafts for purchase. Wonderful lunch fare is also available while you shop. It’s all available direct from the farm to you on Fridays from 11am to 4pm at the corner of Highway 60 and Stafford Street. Check us out on Facebook. Our 2-hour Raft Trip on the Madawaska River winds its way through 5 fun-filled kilometres of tumbling whitewater in a wilderness setting, just east of Algonquin Park. Our skilled raft guides introduce you to the river world – while you hold on and enjoy the adventure. And to get you in the swim of things, there will be opportunities to jump out of the raft and into the current – so dress to get wet! Suitable for ages 2 & up! 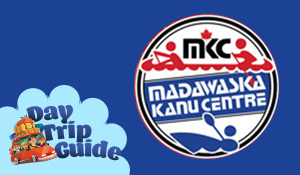 We also offer paddling courses, family programs, retreats….whitewater fun on the Madawaska River. 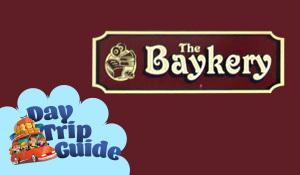 When you visit Barry’s Bay don’t miss The Baykery on Bay St. beside Dairy Freez & Grill. Fresh homemade cookies, tarts, pies, breads, squares and so much more including Award Winning buttertarts. Check out our freezer for take home meals, locally sourced meats and gluten free options. Before you leave town enjoy a delicious meal next door at Dairy Freez & Grill. 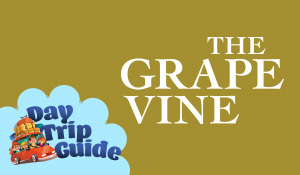 Great wine making starts at The Grape Vine. Our goal is the creation of unique wines, suited to your tastes. Choose from our wide selection of kits including Niagara Mist, Kenridge, Legacy, Cheeky Monkey and California Connoisseur to name but a few. We can help you choose the best wine to celebrate special occasions with friends and family; or just enjoy a quiet night at home. Ask about our custom labels to make those special occasions even more memorable. 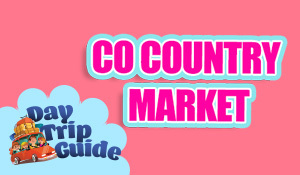 The CO Country Market is a convenience and grocery store that has a little bit of everything….produce, dairy, deli and packaged goods and lottery tickets. And don’t miss our Book Tree – pick up your summer reads for a donation; and drop off books you no longer need. All donations from the Book Tree are donated to local schools – to date we have donated approximately $3,000. Before you leave ask for a CO Screamer, our signature ice cream treat! Soft and scoop ice cream for a hot summer day. 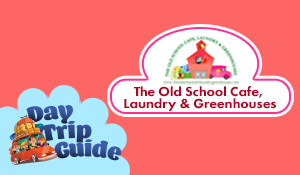 There is always lots to do at the Old School Cafe, Laundry and Greenhouses. Not only do we do things “Old School”, like great local food in the Cafe, grown all naturally in our Greenhouse. We also use and sell all natural products in the Laundromat. Don’t want to spend your time doing laundry – enjoy a great meal, browse through local art and gift items for sale, or tour the area while we do it for you! And if you don’t have time to linger check out the amazing menu using local items in our Food Truck! 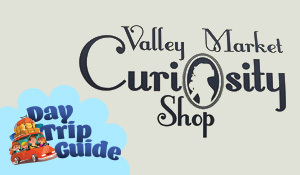 The Valley Market Curiosity Shop is loaded with unique items. Looking for a special gift? This is the place to go! Antiques, jewellery, retro fashions, soaps, creams, art and so much more! Visit us in Combermere – leave lots of time to browse through our eclectic array of items for you and and your home. 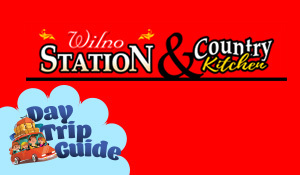 At Wilno Station & Country Kitchen we take pride in our homemade delicious meals ….available to dine-in or take-out. Relax at our Licensed Patio or Diner and let us do the cooking. Shawarma, Burgers, smoothies & more!